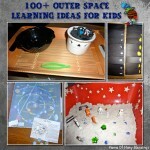 Because we will be involved in astronomy studies for the next month or so I made an Outer Space Sensory play bin for the boys. 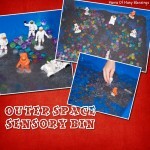 What’s Inside Outer Space Sensory Play Bin? I took it out and it was a hit the boys played with this bin for quite a while and have taken it out daily for weeks now! 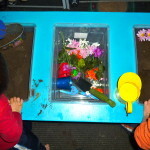 We took the astronauts from our Space Toobz and made prints in the moon sand. 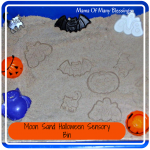 I would suggest putting the moon sand onto a surface that can be swept up, the moon sand is crumbly, but was very easily swept up. We also counted backwards from 10 and then blasted off the rockets. We counted out “moon rocks” while making outer space pies in our bowls. 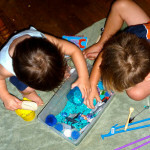 The “moon rocks” aka star gems had to be pushed into the sand which was great fine motor skills! 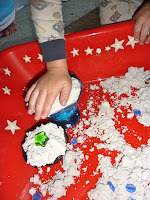 Of course we scooped and filled the bowls with our Moon Sand which is a great fine motor skill. 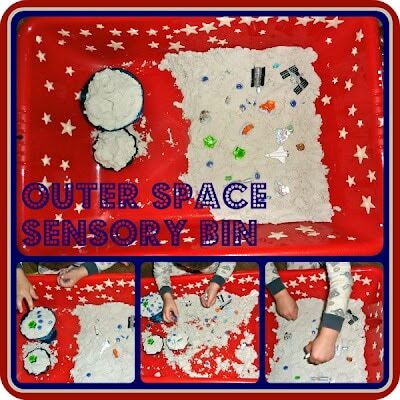 We also enjoyed taking the glow in the dark stars and planets off, sorting them into small, medium, and large stars, and counting them out loud as we put them on. He is working on counting to 100 right now so using these stars was perfect practice! 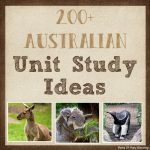 We have shared a lot of different learning ideas that we have used during our Astronomy unit this month, I shared them all on our Astronomy page, stop over to find lots of great learning ideas. 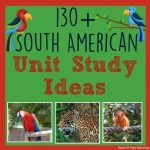 Stop by and check out my Pinterest Space board for lots of other great ideas to add to your space unit! 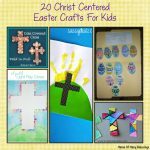 Follow Mama Of Many Blessings’s board Space Learning Fun With Kids on Pinterest. 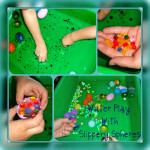 Thanks for sharing on Hey Mom, Look What I Did at Adventures In Mommy Land! That is such a great idea! You are a very good mum! Thank you so much for your kind words, they are so much appreciated! I hope you have a wonderful week as well! 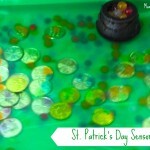 This looks like a sensory bin that my son would enjoy! 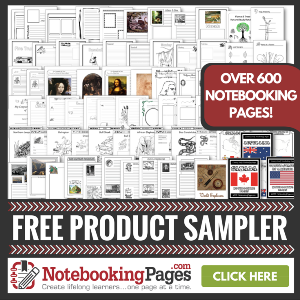 I’m so glad that I ran across it on No Time For Flashcard’s Link and Learn! Trying it soon! 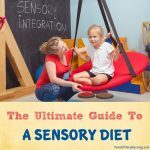 I LOVE sensory bins! What a neat idea to use moon sand! 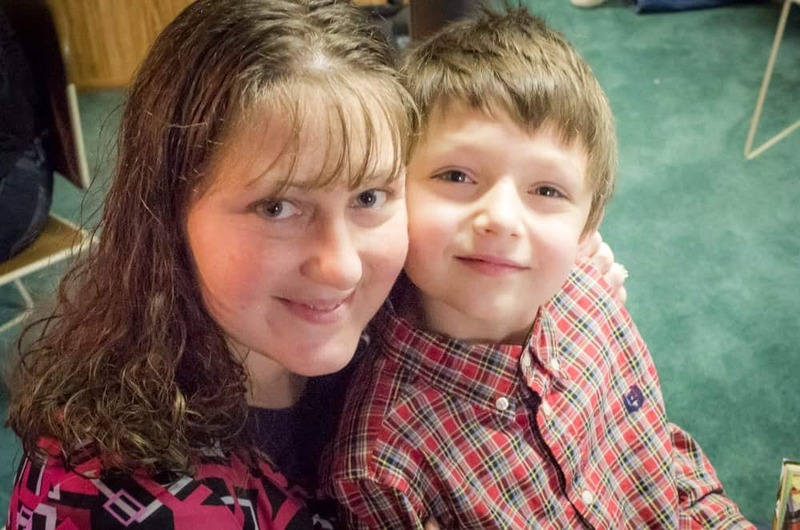 Thanks for sharing with BTT! This is a great idea. 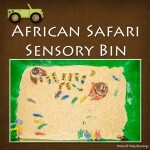 I have been trying to think of all kinds of new ideas for sensory bins for my son. But I am having trouble finding small toy sets. I have been seeing these Toobz things around various blogs and think I may have to try them out. 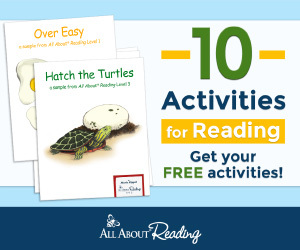 Thanks for linking up to Thinky Linky Thursday! What a clever idea! 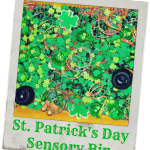 I had never heard of sensory bins when my children when younger but I am positive that my son would have gone crazy of the sensory bin that you have created. 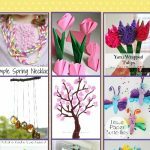 Thanks for linking up this week to my Enchanted Thursdays Blog Hop! This is wonderful! 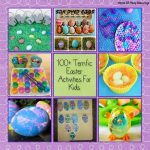 So many great ideas with such a fun theme! 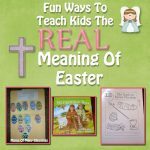 Thanks for sharing at Teach Me Tuesday! 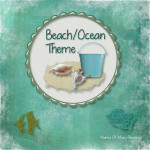 This post is being featured today–congratulations!! Hi, I follow you from Istanbul, Turkey. I like reading about your home activities and games. I long for the day that I will enjoy them with my daughter when she grow up. Love. This is fantastic! What a wonderful invitation to play. 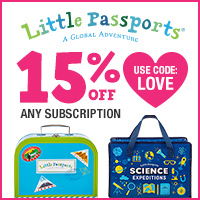 THanks for linking up with The Weekly Kid’s Co-op. 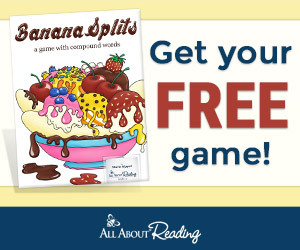 I’ve pinned this to the Weekly Kid’s Co-Op Pinterest board and I’ve shared it on the Weekly Kids Co-Op Facebook wall.